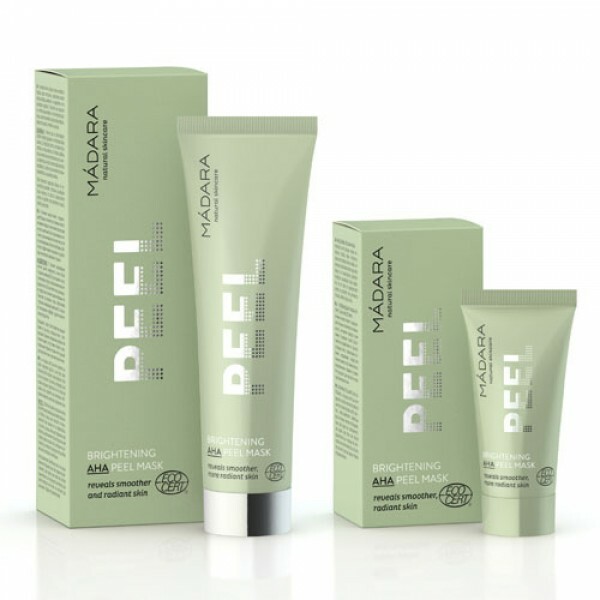 Madara Brightening AHA Peel Mask - Especially beneficial for those with dull, tired skin, signs of aging, lines, wrinkles, age-spots, lack of glow, clogged pores, acne. Brightens dull, tired skin, and targets signs of aging such as lines, wrinkles, age-spots, lack of glow, as well as clogged pores and acne. Packed with active fruit acids and vitamin C from Quince, expertly blended with soothing elderflower this active AHA peeling mask provides efficient exfoliation for bright, radiant and smoothed skin. 1) Removes dead cells to uncover smoother (and radiant) skin surface. Not suitable for those with fragile, hypersensitive skin. If you have very sensitive skin, the Lovea Pink Clay Mask would be more suitable. Lovely product: Smells nice but fragrance is not overpowering. Consistency is a cross between a gel and a lotion which dries on your skin. 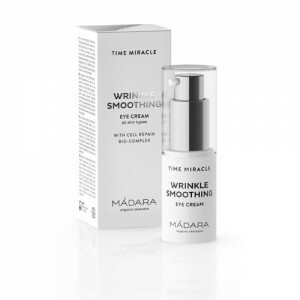 It seems to suit my skin type which is 37 year old combination and is easily congested. You can really feel it working: the skin tingles and tightens. It comes off easily with water and leaves the skin soft, clearer and yes, brighter. My greasy areas aren't as greasy and the effects of congestion (lumps, bumps and general gungy-ness) are reduced. One thing I would say is that you DO need to moisturise afterwards as my skin did feel tight afterwards. On the leaflet it does say that this product can be used on dry skin but I really wouldn't use it on that because it does tighten the skin and I imagine it could make already tight skin feel unpleasant. I'm using it once a week in conjunction with acid toners and this frequency seems about right for me. This is one of those products which shows results after the first use. Will be buying more of this. Could Madara make a hydrating mask next please? Apply on clean facial skin 1-2 times a week. 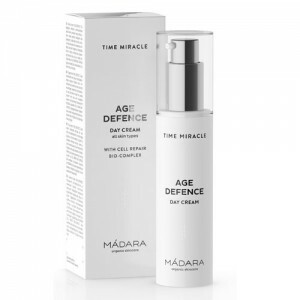 Normal / Dry skin / Mature skin – let it work for 3-10 min. Combination / Oily / Congested skin – let it work for 5 – 15 minutes. Remove with water, pat skin dry. Apply a moisturizer. Peeling mask enhances the effectivity of other cosmetic products as it removes the dead skin cell layer and allows active ingredient to reach deeper into the skin. Intensive sun exposure (tanning, sun bed) is not recommended for 1 week after using this mask. 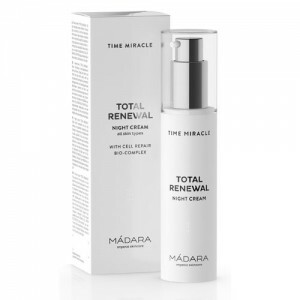 The may cause temporary redness and irritation (warming, tingling) to your skin. If you feel discomfort, like burning, remove the product from skin with water. Next time, apply product for shorter time.